Mr. Williams remembers how his early exposure to dance opened up a treasure of self expression that was hidden to him. Ballet gave him the confidence to take on the challenge of an exciting new career; while offering him the necessary tools to make a successful transition from adolescence to adulthood. At age 16, after experiencing trouble as a street gang member, he discovered a pathway to international success through ballet. His strong athletic abilities in track, baseball and gymnastics accelerated his dance training. Mr.Williams began his early training with the Lithuanian ballerina, Tatiana Babuskina. Afterwards, Mr. Williams received a scholarship from the Boston School of Ballet, training with E. Virginia Williams (founder of the Boston Ballet) and Sydney Leonard. Along with Mr. Williams’ first teachers, he also attributes his success to Sam Kurkjian, Hector Zaraspe, Perry Brunson and Frank Bourman. Mr. Williams also owes a great debt to Arnold Spohr, former long-time Artistic Director of Canada’s Royal Winnipeg Ballet and Robert Joffrey, founder of the Joffrey Ballet. These men offered invaluable artistic direction which Mr. Williams is totally committed to passing on to future generations of dancers. Mr. Williams joined the Boston Ballet in 1964 and after dancing for only three years, Mr. Williams worked his way up from Corps-de-Ballet to Principal Dancer.He then danced soloist roles with the Joffrey Ballet and was a Principal Dancer with Canada’s Royal Winnipeg Ballet, the Gulbenkian Ballet of Portugal, and the Norwegian National Ballet. Mr. Williams has been teaching in the New England area for thirty years. With this background and as a father of three sons, Mr. Williams is very sensitive to the needs of youths. Widely respected as a progressive dance educator, Williams has won the Dance Teacher Magazine Award and Wheelock Family Theater’s Wheel Award. 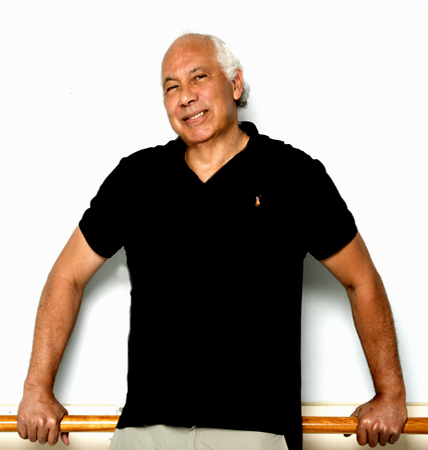 In 2014, he founded the Tony Williams Ballet and expanded his dance school to Concord, Mass. Like his name, which is synonymous to the sun, Ilanga has danced around the world; he founded and directed dance schools in Boston, Holland and Greece. He also created the role of the “Grandfather” in Anthony Williams’ “Urban Nutcracker” and adds a touch of class to the innovative ballet singing with The G-Clefs each year. A native of Missouri, Dustin has made his home in the art world of Boston since 2000. Mr. Rennells has accepted the position of Operations Manager of Tony Williams Dance Center, Urban Nutcracker and the newly launched Tony Williams Ballet. Dustin danced for eight years before realizing a career in the fine art world of printmaking and sculpture at the Art Institute of Boston. Through college friend coincidence he was introduced to the Urban Nutcracker and quickly became the Costume Master eight years ago. 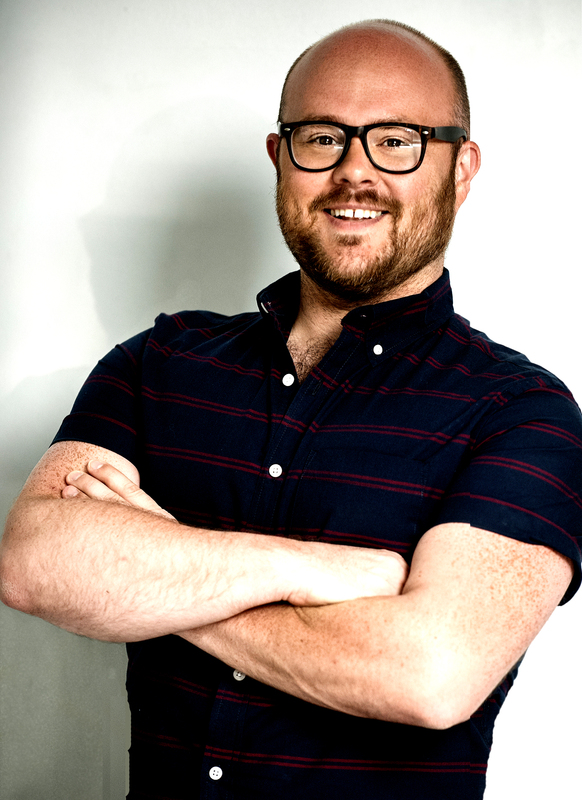 Since 2007 he has served, off-and-on as scheduling permitted, as Costume Master and/or Director of the Urban Nutcracker, General Manager of the Urban A native of Missouri, Dustin has made his home in the art world of Boston since 2000. Mr. Rennells has accepted the position of Operations Manager of Tony Williams Dance Center, Urban Nutcracker and the newly launched Tony Williams Ballet. Dustin danced for eight years before realizing a career in the fine art world of printmaking and sculpture at the Art Institute of Boston. Through college friend coincidence he was introduced to the Urban Nutcracker and quickly became the Costume Master eight years ago. Since 2007 he has served, off-and-on as scheduling permitted, as Costume Master and/or Director of the Urban Nutcracker, General Manager of the Urban Nutcracker and Costume designer/creator for Ben’s Trumpet, La Favorita, Ephemera and Peter & the Wolf. Outside the dance world, Dustin has made a name for himself in the event planning, culinary and beauty pageant world. Mr. Rennells was the Executive Director of the Miss Boston & Miss Cambridge Scholarship Pageant for four years and was recently promoted to the Miss Massachusetts and Miss Massachusetts’ Outstanding Teen state programs. Dustin designs a few dozen weddings and large scale parties each year through his own business, Dustin Rennells Design. He runs a small cupcake delivery service, Bad Boy Bake Shop. He was recently featured on WHDH Channel 7 news for a pre-Valentine’s Day cooking segment. Dustin will be working tirelessly to promote and establish the Tony Williams Ballet company in its inaugural year. He is developing a system of initiatives to increase the already stellar level of dance and service that TWDC aspires to. Dustin‘s office hours are posted at the front desk if you wish to welcome him or speak to him in person! You may contact Dustin directly with any questions about the school, the ballet company or Urban Nutcracker any time day or night. urbannutcrackerinfo@gmail.com or his 617.524.3066 for immediate answers. It is his goal to be perfectly transparent in how the school, company and Urban Nutcracker operate to continue clear effective and efficient communication. Raht has an A. Mus. T.C.L. from Trinity College in London, England and Diploma in Music Performance and Pedagogy from Yamaha Music Foundation in Tokyo, Japan. A devoted and firm believer of “rounded education,” he also earned a bachelor degree in Economics (B.Ec.) from Sydney University (Australia) where he was a Colombo Plan Scholar. He has an M.A. in Economics and an A.B.D in Economics from Northeastern University (Boston, U.S.A.), and has also completed graduate course work in higher education administration at the University of Massachusetts Boston where he also earned a Certificate of Mediation. He is an Award Winner at the 11th International Electone Concour held in Japan receiving The Outstanding Performance Award for his award winning original composition “Australia” which was later copyrighted by Yamaha and now can be heard on U-tube. “Australia” was composed specifically to feature the GX-I Yamaha Synthesizer. At the time, he represented Australia to the Electone Concour. Raht has been working with and composing original music for dancers, dance teachers, and choreographers in the Massachusetts since the early 1980’s. He also worked with The Kirov Ballet of Russia, The Royal Winnipeg Ballet of Canada, and Dance North of Australia when they performed in Bangkok and, at times, The Alvin Ailey Dance Company and Mark Morris Dance Company in Boston. Raht has performed at the Sydney Opera House as well as in concert halls of other major cities of Australia, Japan, Philippines, Thailand, Taiwan, Hong Kong, and Indonesia. In 2004, he was inducted into the Thailand Music Hall of Fame established by the Siamkolakarn Music Foundation (Yamaha Thailand.) He trains competitors and concert artists for various music competitions and concerts. He also sits on the panels of judges in music competitions and auditions. In fact, Raht very much enjoys the opportunity to teach everyone interested in learning to play the piano, and in both direct and indirect ways, to bring music into all lives and art forms. Señor Williams recordó como su exposición a la danza abrió un tesoro de autoexpresión que fue escondido a él. Ballet le dio la confianza hacerse cargo del desafió de una carrera emocionante; mientras ofreciéndolo las herramientas para hacer una transición exitosa de la adolescencia a la madurez. A dieciséis años, después de experimentar problemas como un miembro de una banda en las calles, descubrió una senda al éxito internacional por Ballet. Sus habilidades fuertes atléticas en track, beisbol, y gimnásticos aceleraron su entrenamiento en el baile. Señor Williams empezó su entrenamiento temprano con el bailarín lituano, Tatiana Babuskina. Después, Williams recibió una beca de la Boston School of Ballet, entrenando con E. Virginia Williams, (fundador del Boston Ballet) y Sydney Leonard. En adición sus primeras maestras, señor Williams también atribuye su éxito a Sam Kurkijan, Hector Zaraspe, Perry Brunson y Frank Bourman. Señor Williams también debe una gran deuda a Arnold Spohr, anterior directora artística del Royal Winnipeg Ballet de Canada y Robert Joffrey, fundador del Joffrey Ballet. Estos hombres ofrecieron a señor Williams dirección artística, lo cual él está completamente cometido a pasar a generaciones futuras de bailarines. 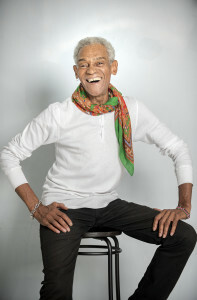 Señor Williams juntó el Boston Ballet en el año 1964 y después de bailar por sólo tres años, se preparó del Corps-de-Ballet a Bailarín Principal. Luego bailaba roles solistas con el Joffrey Ballet y era un bailarín principal con el Royal Winnipeg Ballet de Canada, el Guldenkian Ballet de Portugal, y el Norwegian National Ballet. Señor Williams ha estado enseñando ballet por treinta años. Con este fondo, y como un padre de tres hijos, él está muy sensato a las necesidades de los niños. Respetado ampliamente como un maestro progresivo de baile, Williams ha ganado los premios de Dance Teacher Magazine Award y Wheelock Family Theatre’s Wheel Award. En 2014, fundió el Tony Williams Ballet y expandió su escuela de danza a Concord, MA. Como su nombre, lo cual es sinónimo al sol, Ilanga ha bailado por todo el mundo; fundió y dirigió las escuelas de danza en Boston, Holanda y Grecia. También, creó el papel del “abuelo” en el Urban Nutcracker, y añade un toque de clase al innovador Urban Nutcracker cantando cada año con los G-Clefs. Un nativo de Missouri, Dustin ha hecho su hogar en el mundo de Boston desde 2000. Señor Rennells ha aceptado la posición del director de las operaciones del Tony Williams Dance Center, el Urban Nutcracker, y el recién lanzado Tony Williams Ballet. Dustin bailó por ocho años antes de girarse su atención hacia una carrera en el mundo de las bellas artes del grabado y la escultura al Art Institute of Boston. Por una coincidencia con amigos de la universidad, era introducido al Urban Nutcracker y rápidamente se volvió el maestro de los costumbres hace ocho años. Desde 2007 ha servido, a intervalos como permite su horario, como el maestro de los costumbres y/o el director del Urban Nutcracker, el gerente general del Urban Nutcracker, y el diseñador/ creador de los costumbres por Ben’s Trumpet, La Favorita, Ephemera y Peter & the Wolf. Afuera del mundo de la danza, Dustin ha hecho un nombre para si mismo en el mundo de comida, concurso de belleza y la organización de eventos. Señor Rennells fue el director ejecutivo de la beca de concurso de Señorita Boston y Señorita Cambridge por cuatro años y fue promovido recientemente a los programas estatales de Señorita Massachusetts y Señorita Massachusetts’ Outstanding Teen. Dustin diseña unas pocas docenas de bodas y grandes fiestas cada año por su propio negocio, Dustin Rennell’s Design. Corre un servicio pequeño que entrega las magdalenas se llama: Bad Boy Bake Shop. Recientemente, fue presentado en las noticias de Cadena 7 por un segmento de cocinar que se enfoca en la preparación del día de San Valentín. Dustin estará trabajando muy duro para promover y establecer el Tony Williams Ballet company en su año inaugural. Está desarrollando un sistema de iniciativas para aumentar el nivel ya estelar de baile y servicio que TWDC se esfuerza por. ¡Su horas de oficina están publicados en la entrada si quisieras darle la bienvenida o hablar con él de carne y hueso! Podrías contactarle directamente con cualquier pregunta sobre la escuela, la compañía o el Urban Nutcracker cualquier tiempo durante el día o noche. Le manda un email a: dustintwdc@gmail.com, o le llama por teléfono a su número privado: 617.504.4993 por respuestas inmediatas. Es su objetivo de ser perfectamente transparente en cómo la escuela, la compañía y el Urban Nutcracker operan para continuar comunicación clara y efectiva. Raht tiene un T.C.L de A. Mus. de la Universidad de Trinidad en London, Inglaterra y una diploma en Pedagogía y la Interpretación de la Música de la Fundación de Yamaha Music en Tokyo, Japón. Además, recibió un bachillerato en económicas de la Universidad de Sydney (Australia), y también una maestría y un A.B.D (todo excepto que la disertación;“all but dissertation” en inglés) en económicas de la Universidad de Northeastern (Boston, USA). Recibió, como la representativa de Australia, el premio de Outstanding Performance de Yamaha en el undécimo Internacional Electone Concour albergado en Nemunosato, Japan. Ha sido un miembro de la facultad de media jornada en la escuela de artes escénicas a la universidad de Emerson en Boston, y una pianista de personal de los departamentos de baile y el teatro musical al Conservatorio de Boston en Boston desde 1994 hasta que el presente. Además de trabajar con Tony Williams, Raht también está empleado por la Universidad de Tufts en el departamento de baile y la escuela de Brooklyn Ballet. Su carrera como una pianista del ballet empezó en el medio de los años 80 cuando acompañó clases de ballet enseñados por Sydney Leonard en Boston y Tony Williams en Cambridge. Ha enseñado piano a Piano Mill en Rockland desde el año 2005. Raht ha representado al Sydney Opera House además de salas de conciertos en otras ciudades mayores de Australia. También, ha representado en las salas de conciertos mayores en Japón, las Fillipinas, Tailandia, Taiwán, y Hong Kong. En el año 2004, fue introducido al salón de fama de la música de Tailandia establecido por la Siamkolakarn Music Foundation en Bangkok.